You must make reservations at least 5 minutes in advance of the time at Firenze Trattoria. (**If you have a seating preference in either the inside dining room or the outside heated patio, please specify when making your reservation. Seating preferences are not guaranteed**). Firenze provides full service catering for your special events, including weddings, bridal showers, bar mitzvahs, graduations and more. Firenze Privato is a private dining experience for up to 50 people. The latest addition to our award-winning restaurant and the menu can be tailored to your liking. With its soft colors and elegant wood accents, the atmosphere evokes class and style with an Italian theme. Sun-splashed by day and romantically lantern-lit at night, Firenze's flower-bedecked patio, with it's gentle fountain, is like a private courtyard in some romantic Italian villa. Come see what all the buzz is about we are certain that you will enjoy this one of a kind experience in this beautiful San Diego Italian restaurant. We will be opening at 11:00 on Mother's Day. We will be serving from our regular menu as well as numerous chef specials! Every mother will receive a long stemmed rose!! I had the veal scallopine and it was delicious! A very good choice. Jeff was awesome as always. Thank you so much. The food was exceptional. Food is excellent, diverse menu, great drink list, nice wine list, love opportunity to enjoy eating outdoors! Outdoor patio was cool on an April evening, but excellent outdoor heaters made it OK. I had the carbonara, excellent. My partner had the squash, pretty good but not wow! High quality and delicious. Everything was great and on par, just thought it was quite expensive for salad s and pasta. Salad - pretty poor. Drowned in vinaigrette. Felt like it was our of packet with blah lettuce and veg. Deserts: so so - Tiramisu good but could do with smaller less creamy portions. Winelist; extensive. Well targeted to the typical diner there and reasonably priced. Bread was a highlight. Olive oil / balsamic could be better. Service was well timed and attentive, but not overly so. Still one of our favorite restaurants. Love everyone there! Firenze is a place I have a long history with. We used to go there all the time in the 90's, but we weren't totally happy with the quality of the food, so we stopped going. We thought we would give it a try, in today's world especially since I have offices close by and it is a convenient place to stop on the way home. Pluses: They have 1/2 price bottles on Monday night, they are near my offices so it's convenient to stop on the way home. The 'wait' staff is lovely. The ambiance is good. I gave some feedback here for the sake of the restaurant and the General Manager replied. Bravo! It's nice to know things 'land'! Consistent Quality - we always enjoy dining here because the food and service are always good. Many wonderful items on the menu and the service is always wonderful. In warm weather, the patio is great. If the weather is cool, sit inside. We have never had a disappointing meal. We have been coming to Firenze for years and the food is always consistently superb. Always. The food was delicious and authentic, and service was great. We felt like we were in Italy, and would return again! A long term favorite. Never disappoints. While most often get stuff from regular menu the specials provide for nice change of pace. Jeff the manager did a great job in helping us during the night. Food was exceptional as was all of the service. Billy was fun and attentive , swordfish was spectacular--best broken martinis around and great wine list. terrific spot ! Have dined here dozens of times. One of our “go to “ restaurants in San Diego. 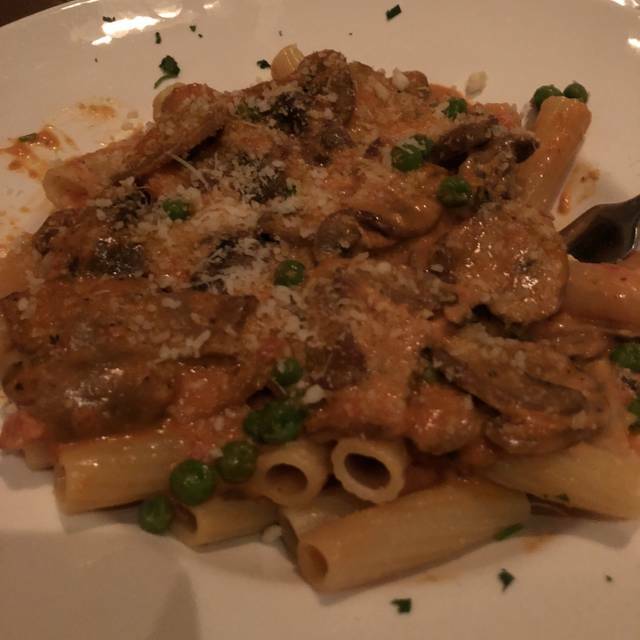 Outstanding Italian food and great variety in menu. The food was excellent, as was the wine. Our server may have been new. She was very pleasant but was slow to take our drink order, and serve them. We were a party of 4, our server was very accommodating! We had the fish special trout and special rib eye, everyone enjoyed their meals. My salad and mussels were wonderful and I'd order again, however, 2 other people in our party were not very happy with the Sea Bass special ...overcooked and dry ! Our waiter was great and removed one dinner from our check. It was a party of six and everyone else was very happy. Excellent, as always! No surprises. Generous portions. Thanks for coming in! We appreciate it! Great food, excellent service always, we love this place! Thank you! Was really looking forward to trying this restaurant. The food was delicious but the noise level was so loud we could not hear ourselves talk due to being placed between two large loud groups. They accommodated our request to be moved but still found the nearby table taking over the ambiance. Service was excellent too. Too bad. Not recommended for a quiet romantic dinner. 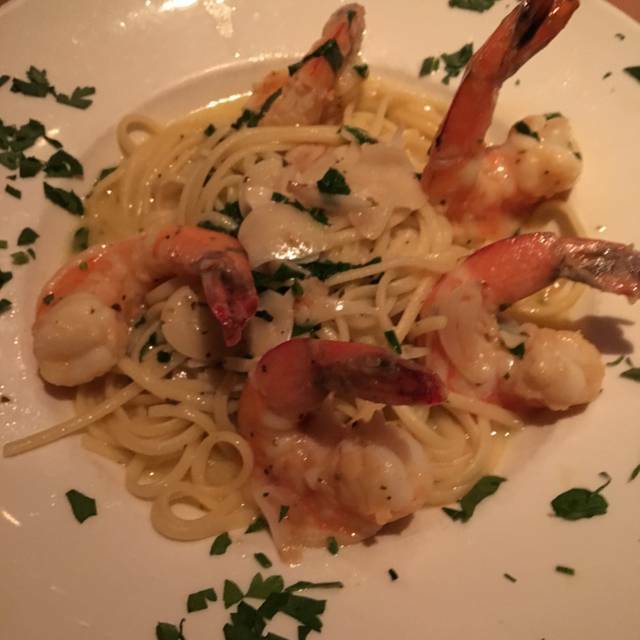 Firenze is our favorite - the food and the service are always outstanding. Wonderful wine list too. The grilled romaine with shrimp was terrific. The lasagna is possibly the best we've ever had. However the halibut entrée was not the best we've ever had.. The chocolate strawberries were lovely, but the mango sorbet was un-amazing.... although it sure looked fabulous. Thanks for the review. We are always on the lookout for feedback so we appreciate yours. Not "romantically private"... Not inexpensive... EXCELLENT food and outstanding service. We go here for special occasions and will continue to do so..
A very nice , dinner house. Always great service and delicious food, with a nice wine selection. Christine made our anniversary lunch a very special meal. Her menu recommendations were helpful and both of us enjoyed lentil and pasta fagioli soups to start. Entrees were delicious—salmon for me and lasagna for my husband. Our complimentary cannoli dessert was the perfect ending to our lunch. Firenze’s wine list is excellent and the Pinot Noir paired well with my salmon. We are so glad you shared it with us. I will pass on the kudos, it is always nice to hear. Thank you for coming in! Food was and is always delicious and the food server was terrific...Perfect Birthday Dinner!!! Firenze is a favorite, the food is excellent, the staff friendly and professional....one of our local go tos!!! Thanks gina, we love having you! Firenze has been there for years. The dining room can be a little noisy at times but the food and service is very good. Be sure to make a reservation. The food is amazing here, and I’ve been going here for 10+ years! Thank you Robert! We appreciate your loyalty! So happy to hear! We love half price wine night too! Solid food and good wine selection, but far short of 5 stars. Your feedback is important to us and we take it all into consideration, so thank you.